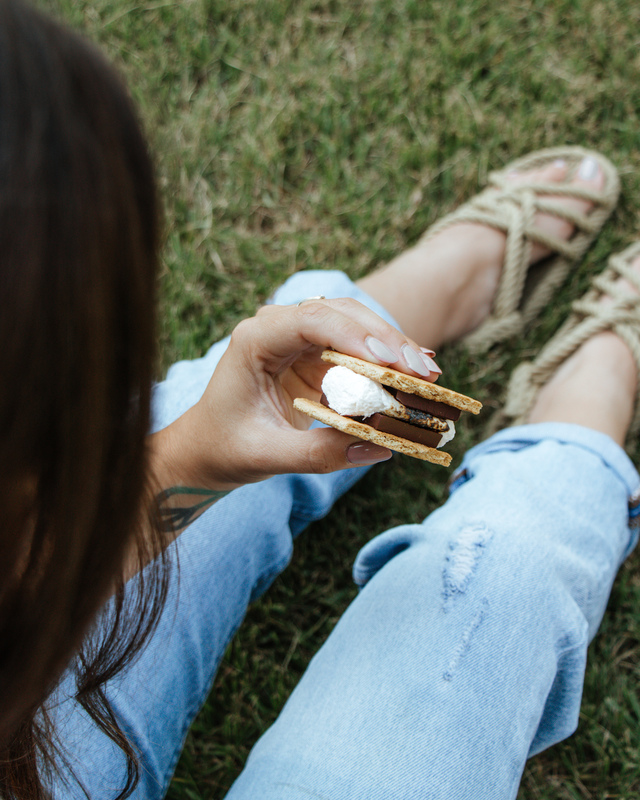 What’s more summer than s’mores!? 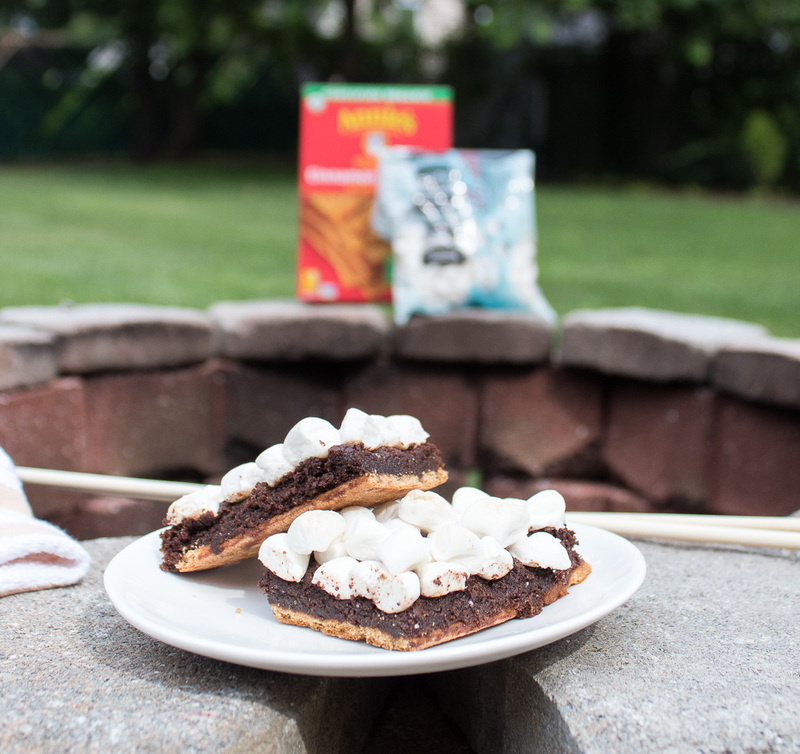 But we know typical s’mores ingredients aren’t the most allergy or lifestyle friendly, so that’s where we come in! With all the items you need on sale this month we have you covered – from vegan and gluten free marshmallows, graham crackers to chocolate, we have something for everyone! No fire? No problem! We decided to take a little twist on this summer time classic, too. 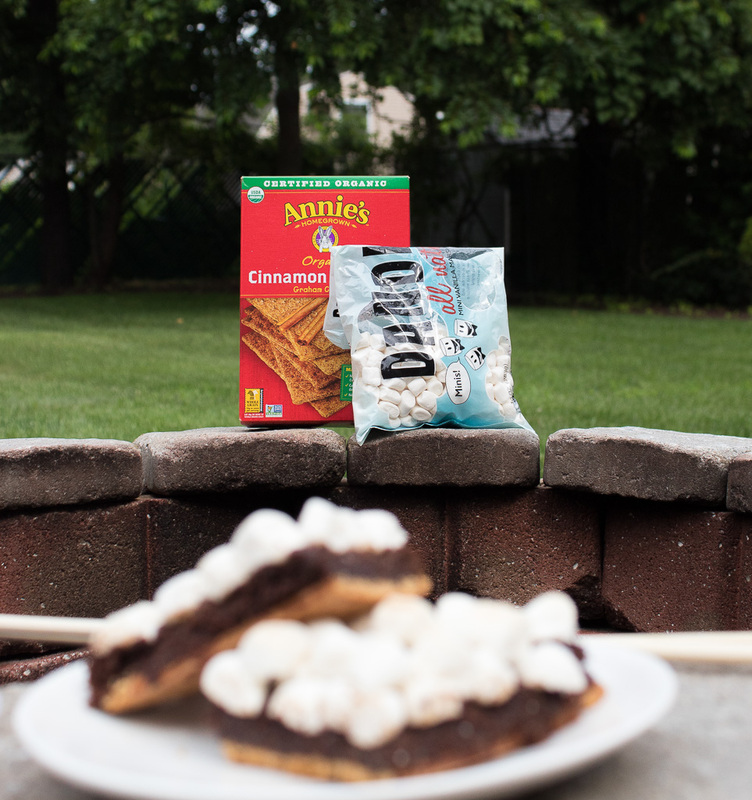 If regular s’mores aren’t in your near future whip up a batch of our s’mores brownie bars! These are also vegan and gluten free-friendly. 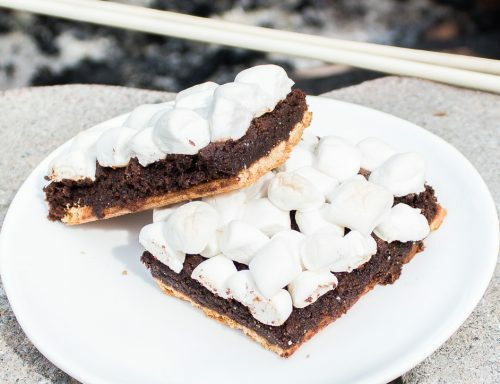 A rich brownie layer smushed between a crunchy graham crackers and pillowy marshmallows – it doesn’t get much better than these. Make them for your next barbecue or save the recipe for when that s’mores craving hits after summer’s gone. Just be sure to give us a shout out on social media if you make them! Combine the flax meal and water in a small bowl and set aside to thicken. Mix all the dry ingredients in a medium sized bowl. Mix the remaining ingredients in another bowl until well combined – this is easiest if your coconut oil, nut/seed butter and flax egg are all room temperature. Pour the wet ingredients into the dry and mix until throughly combined, the batter should be quite thick; leaning more towards cookie dough texture rather than brownie batter. Line a square pan with parchment paper, aluminum foil to simply grease it with more coconut oil. Place the graham cracker sheets along the bottom, breaking them as needed to evenly cover the pan. Spread your brownie mix over the top, pressing it down to cover all the graham crackers. Wetting your fingers a bit will help it spread easier and not stick to you. Bake the bars without the marshmallows for 10 mins, then remove the pan, spread the marshmallows on top giving them a slight press into the brownie layer, then bake the bars again for 15 mins until your marshmallows start to brown. Once done, let cool for 15 mins before slicing, then break apart and enjoy!